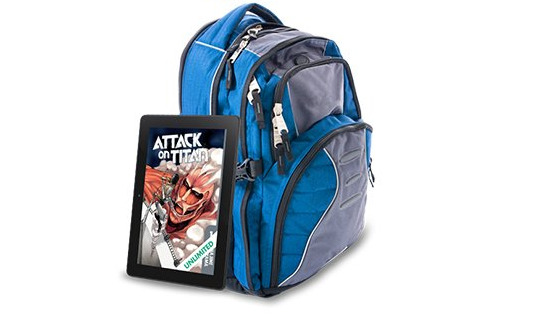 Explore over 15,000 comics, graphic novels & manga. Also, enjoy exclusive member sales and discounts. Explore comics, graphic novels & manga like never before. Try a new series, discover new creators, and dive into new adventures with unlimited access to our amazing selection of titles! 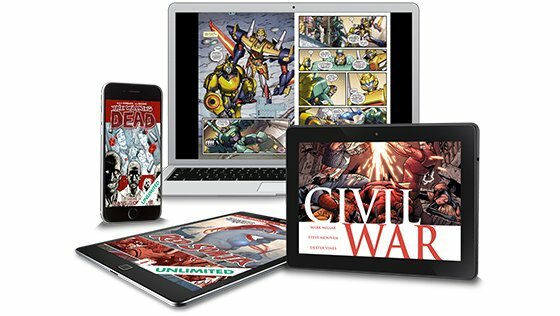 ComiXology Unlimited members enjoy 10-15% off all books from Marvel Comics, Image Comics, IDW Publishing, Dynamite, and more (yes, even on new releases!). ComiXology Unlimited is a new service that allows you to read freely from thousands of titles, including comic books, graphic novels & manga. You can read offline on any device. ComiXology Unlimited is available for $5.99 a month and you can cancel anytime. How can I access comiXology Unlimited books? You can find comiXology Unlimited books in the comiXology website and apps, just look for the comiXology Unlimited logo throughout the store and click on the Read for Free or Borrow buttons to start reading. 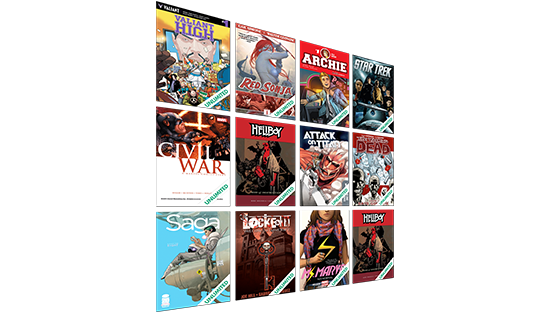 Get a free trial membership and find popular titles and recommendations on the comiXology Unlimited Homepage. Is comiXology Unlimited available worldwide? ComiXology Unlimited is currently only available in the U.S. We plan to expand this service to other regions in the future. Please stay tuned. How can I sign up to comiXology Unlimited on my iOS device? To sign up for comiXology Unlimited on your iPhone or iPad, visit comixology.com/unlimited in your browser. You can find and download comiXology Unlimited titles directly from the app once you become a member. Can I combine the exclusive member discounts with other sales and promotions? Which books are eligible for the exclusive member discounts? Yes, as a comiXology Unlimited member you are eligible to combine your member discount with all our regular sales and promotions to get even better prices. Happy shopping! You can read the full details about the discount, including which publishers participate in the program, on our FAQ page here. For more information about comiXology Unlimited visit our help page and terms and conditions. For more information about comiXology click here.